© BRYAN SATALINOIn 2002, a group of plant researchers studying legumes at the Max Planck Institute for Plant Breeding Research in Cologne, Germany, discovered that a 679-nucleotide RNA believed to function in a noncoding capacity was in fact a protein-coding messenger RNA (mRNA).1 It had been classified as a long (or large) noncoding RNA (lncRNA) by virtue of being more than 200 nucleotides in length. The RNA, transcribed from a gene called early nodulin 40 (ENOD40), contained short open reading frames (ORFs)—putative protein-coding sequences bookended by start and stop codons—but the ORFs were so short that they had previously been overlooked. When the Cologne collaborators examined the RNA more closely, however, they found that two of the ORFs did indeed encode tiny peptides: one of 12 and one of 24 amino acids. Sampling the legumes confirmed that these micropeptides were made in the plant, where they interacted with a sucrose-synthesizing enzyme. Five years later, another ORF-containing mRNA that had been posing as a lncRNA was discovered in Drosophila.2,3 After performing a screen of fly embryos to find lncRNAs, Yuji Kageyama, then of the National Institute for Basic Biology in Okazaki, Japan, suppressed each transcript’s expression. “Only one showed a clear phenotype,” says Kageyama, now at Kobe University. Because embryos missing this particular RNA lacked certain cuticle features, giving them the appearance of smooth rice grains, the researchers named the RNA “polished rice” (pri). 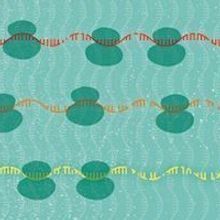 As researchers take a deeper dive into the function of the thousands of noncoding RNAs believed to exist in genomes, they continue to uncover surprise micro­peptides. The hunt for these tiny treasures is now on, but it’s a challenging quest. After all, there are good reasons why these itty-bitty peptides and their codes went unnoticed for so long. ORFs can exist in practically any stretch of RNA sequence by chance, but many do not encode actual proteins. Because the chance that an ORF encodes a protein increases with its length, most ORF-finding algorithms had a size cut-off of 300 nucleotides—translating to 100 amino acids. This allowed researchers to “filter out garbage—that is, meaningless ORFs that exist randomly in RNAs,” says Eric Olson of the University of Texas Southwestern Medical Center in Dallas. Of course, by excluding all ORFs less than 300 nucleotides in length, such algorithms inevitably missed those encoding genuine small peptides. “I’m sure that the people who came up with [the cut-off] understood that this rule would have to miss anything that was shorter than 100 amino acids,” says Nicholas Ingolia of the University of California, Berkeley. “As people applied this rule more and more, they sort of lost track of that caveat.” Essentially, sORFs were thrown out with the computational trash and forgotten. In the mid-2000s, Menschaert was working on mass spectrometry protocols to enrich small peptides, which at that time were believed to be cleaved from larger proteins, when he read the papers about the polished rice sORFs. If there is one example of sORF-encoded micropeptides, he thought, there are bound to be others. 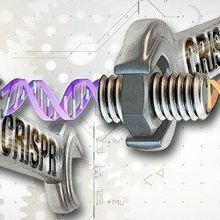 FOLLOWING THE CODE: With the advent of genome sequencing technologies, researchers began combing genomes for open reading frames (ORFs). To enrich for genuine protein-coding ORFs and to eliminate those random sequences that by chance were bookended by start and stop codons, most ORF-finding algorithms ignored any stretches shorter than 300 nucleotides. Unfortunately, this also meant that many short ORFs encoding micropeptides were missed. Now, new techniques are helping scientists identify tiny ORFs within what were presumed to be long noncoding RNAs. To find out if his hunch was correct, Menschaert performed a lot of RNA sequencing to identify sORFs, and a lot of mass spectrometry to find the putative peptides. But it was a slow and painstaking endeavor, as he could only survey a small number of sORFs at a time. Then, in 2009, researchers developed a new, rapid, genome-wide approach called ribosome profiling, which enabled the translation of all ORFs, large and small, to be assessed en masse using next-generation sequencing of ribosome-associated RNA. 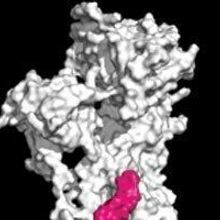 The technique was an update of another method called ribosome footprinting, in which researchers would isolate ribosome-associated RNAs, digest them with a nuclease, and then recover and sequence the short fragments of RNA protected from digestion by the bound ribosomes. 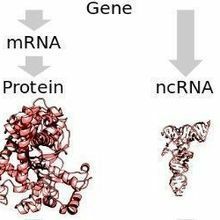 Mass spec was still required to confirm that the proteins generated from these RNAs actually existed in the cell; even truly noncoding RNAs can sometimes associate with ribosomes by chance. But ribosome footprinting was a straightforward way to identify RNAs that, at the very least, associated with the translation machinery. Their diminutive size may have caused micropeptides to be overlooked, but it does not prevent them from serving important, often essential functions. Until the past decade of advances in sequencing technology, however, this too was a time-consuming process, says Ingolia. “People had used ribosome footprinting on single, specific messages, but you couldn’t apply it to everything that was going on in a cell.” Then next-gen sequencing was developed, giving researchers the power to “read hundreds of millions of these footprints at once,” says Jonathan Weissman of the University of California, San Francisco. So he, Ingolia—then a postdoc in his lab—and their colleagues turned ribosome footprinting into ribosome profiling to obtain a global snapshot of translation events across the entire transcriptome. In 2011, the researchers reported that in mouse embryonic stem cells, the majority of lncRNAs transcribed from apparently noncoding regions of the genome were in fact associated with ribosomes.7 “Very early on . . . we could see that we were getting signals outside of the canonical open reading frames,” says Weissman. “That paper was really a milestone in terms of showing that there is a lot of translation outside of [known] coding regions,” says Pauli. Genomes contain countless sORFs, but most do not produce functional proteins. To help identify the true protein-coding needles in the nonsense haystacks, scientists have devised methods and metrics to calculate sORFs’ coding potential based on their sequences and ribosome profiling characteristics. For now, the researchers have included all sORFs identified during ribosome profiling studies in mice, Drosophila, and humans—“with no filtering whatsoever,” says Menschaert. “The idea was to include everything.” All told, the database currently contains a whopping 266,342 sORFs, but screening with assorted metrics can narrow down this vast list. Stringent filtering of the human sORFs, for example, reduces the list to about 400 or so strong candidates, says Menschaert, who is systematically performing mass spectrometry experiments to determine whether the putative peptides are actually expressed in cells. Once a new micropeptide is identified, it’s back to the molecular biology bench to interrogate its function. “That’s the slow bit,” says Menschaert. 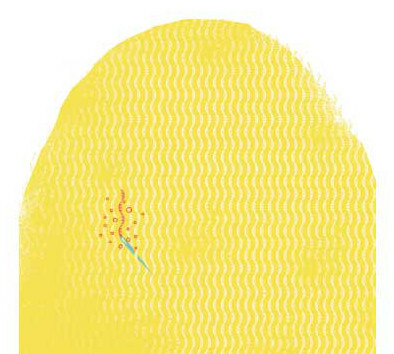 But several of the scientists interviewed for this article indicated that they have new micropeptides in their sights. In January of this year, for example, Olson and his colleagues reported their discovery of a second lncRNA-concealed muscle-specific micropeptide—a 34-amino-acid peptide they named dwarf open reading frame (DWORF).12 The team found evidence that DWORF acts as a regulator of muscle contractility, is abundantly expressed in the mouse heart, and is suppressed in ischemic human heart tissue, suggesting a possible link with heart failure. Other such small peptides might be immunogenic, says Weissman, who has found that micropeptides encoded by sORFs in a human-infecting cytomegalovirus lncRNA were capable of producing T-cell responses in previously infected patients’ cells.10 “I’m sure there will be some that are important for certain diseases,” agrees Pauli. And as researchers continue to more carefully comb small snippets of genomes, it’s likely that even more cellular roles for micropeptides will be uncovered. Their diminutive size may have caused these peptides to be overlooked, their sORFs to be buried in statistical noise, and their RNAs to be miscategorized, but it does not prevent them from serving important, often essential functions, as the micropeptides characterized to date demonstrate. H. Röhrig et al., “Soybean ENOD40 encodes two peptides that bind to sucrose synthase,” PNAS, 99:1915-20, 2002. T. Kondo et al., “Small peptide regulators of actin-based cell morphogenesis encoded by a polycistronic mRNA,” Nature Cell Biol, 9:660-65, 2007. M.I. Galindo et al., “Peptides encoded by short ORFs control development and define a new eukaryotic gene family,” PLOS Biol, 5:e106, 2007. T. Kondo et al., “Small peptides switch the transcriptional activity of Shavenbaby during Drosophila embryogenesis,” Science, 329:336-39, 2010. A. Pauli et al., “Toddler: An embryonic signal that promotes cell movement via Apelin receptors,” Science, 343:1248636, 2014. D.M. Anderson et al., “A micropeptide encoded by a putative long noncoding RNA regulates muscle performance,” Cell, 160:595-606, 2015. N.T. Ingolia et al., “Ribosome profiling of mouse embryonic stem cells reveals the complexity and dynamics of mammalian proteomes,” Cell, 147:789-802, 2011. M. Guttman et al., “Ribosome profiling provides evidence that large noncoding RNAs do not encode proteins,” Cell, 154:240-51, 2013. N.T. Ingolia et al., “Ribosome profiling reveals pervasive translation outside of annotated protein-coding genes,” Cell Rep, 8:1365-79, 2014. A.P. Fields et al., “A regression-based analysis of ribosome-profiling data reveals a conserved complexity to mammalian translation,” Mol Cell, 60:816-27, 2015. V. Olexiouk et al., “sORFs.org: A repository of small ORFs identified by ribosome profiling,” Nucleic Acids Res, 44:D324-29, 2016. B.R. Nelson et al., “A peptide encoded by a transcript annotated as long noncoding RNA enhances SERCA activity in muscle,” Science, 351:271-75, 2016. M.F. Lin et al., “PhyloCSF: A comparative genomics method to distinguish protein coding and non-coding regions,” Bioinformatics, 27:i275-i282, 2011. K. Hanyu-Nakamura et al., “Drosophila Pgc protein inhibits P-TEFb recruitment to chromatin in primordial germ cells,” Nature, 451:730-33, 2008. E.G. Magny et al., “Conserved regulation of cardiac calcium uptake by peptides encoded in small open reading frames,” Science, 341:1116-20, 2013. J. Savard et al., “A segmentation gene in Tribolium produces a polycistronic mRNA that codes for multiple conserved peptides,” Cell, 126:559-69, 2006.